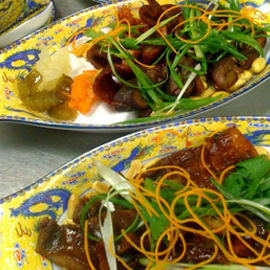 We present the first Charleston imperial garden Chinese bistro. The restaurant itself is a tresure-trove of Chinese arts and decoration with paintings and sculptures by masterful Chinese artists, while beautfully depicting ancient Chinese culture. 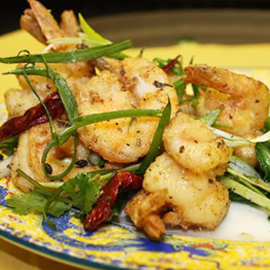 We are locally owned on Daniel Island, Dragon Palace offers great happy hours, hand-made dim sum, fresh Maine lobster, as well as authentic Chinese cuisine. 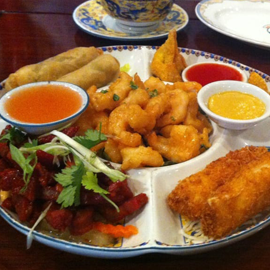 We also have a variety of gluten free options and a kid friendly menu. Dragon Palace is a "must see". 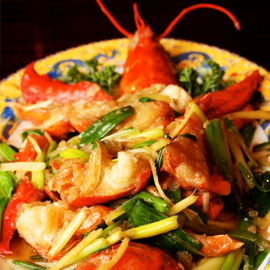 Hand-carved wooden sculptures, Chinese paintings, and beautiful stained glass windows provide an ambience where you can relax and unwind while enjoying top quality Chinese cuisine. Enjoy small tapas style food? 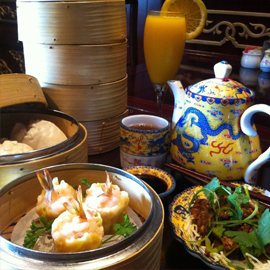 Dim Sum is a popular tradition in China, and Dragon Palace Chinese Bistro offers a Dim Sum Brunch on Saturdays. Can't think of a gift? 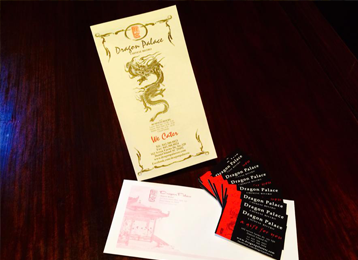 What about a Dragon Palace gift card! 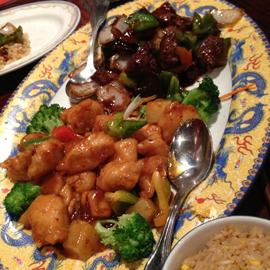 A Dragon Palace Gift Card makes the perfect birthday gift or gift for any special dates and holidays. Giving people gift cards has many advantages: you can take a loved one or someone important to you out to dinner from hundreds or thousands of miles away.